Diminish fine lines and wrinkles and achieve smoother, firmer and more evenly toned skin. 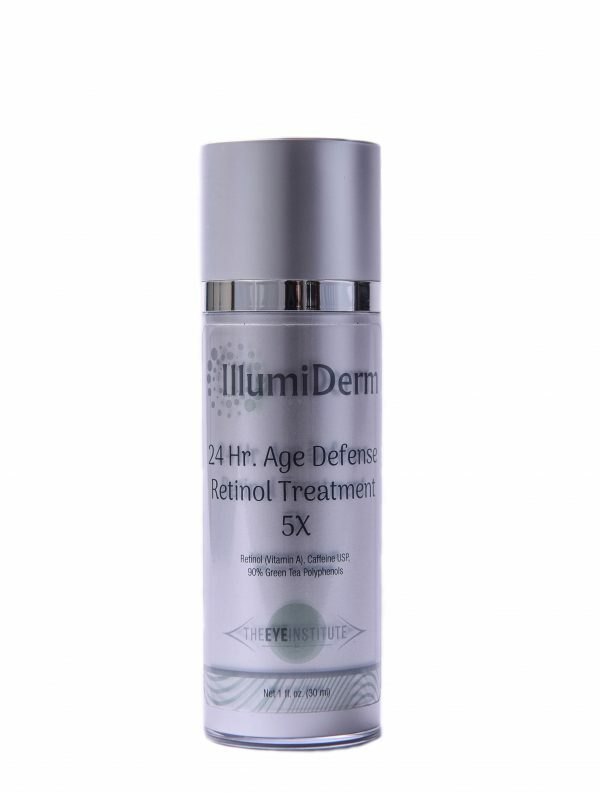 This refining retinol treatment is enhanced with a revolutionary, time-released delivery system along with the antioxidant benefits of 90% Green Tea Polyphenols and Caffeine USP to help prevent irritation while efficiently delivering results. Products containing Retinol might be contraindicated while pregnant and nursing. Consult with your doctor about the safety of topical Retinol products before using. Diminish fine lines, wrinkles and achieve smoother, firmer, more evenly toned skin. This clinically proven retinol serum pairs a time-released, patent-pending delivery system with soothing green tea polyphenols to provide the effectiveness of a retinoid without the irritation. For facial use only. Avoiding eye area, apply 3-4 pumps to clean skin once a day, in the evening or as directed by your physician. Do not use more than 3 times per week.